نعم 200 مليون نسخة بيعت من هده اللعبة، 0 – 0 – 2 مــلــيــون نسخة نعم عزيزي لقد قرأت الرقم بالشكل الصحيح . هذا الرقم هو مجموع جميع نسخ أنجري بيردز بجميع اصداراتها من أجزاء رئيسية و فرعية على جميع المنصات و منذ بداية إطلاقها في 2009 ، و وفقا لروفيو فإن أكثر من نصف عمليات التحميل تمت على أجهزة الـ iOS . 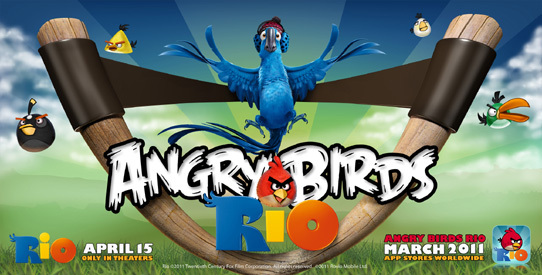 In ANGRY BIRDS RIO, the original Angry Birds are kidnapped and taken to the magical city of Rio, where they eventually escape their captors and set out to to save their friends, Blu and Jewel – two rare macaws and the stars of the upcoming Fox motion picture, RIO. Like the incredibly-popular original edition, ANGRY BIRDS RIO will feature hours of gameplay, physics-based demolition challenges and loads of replay value – all with unique twists based on the highly-anticipated film. 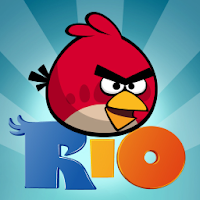 ANGRY BIRDS RIO will launch with 45 dedicated levels and will regularly add new levels via app updates. The game will be available for download on smart phones and tablets worldwide.